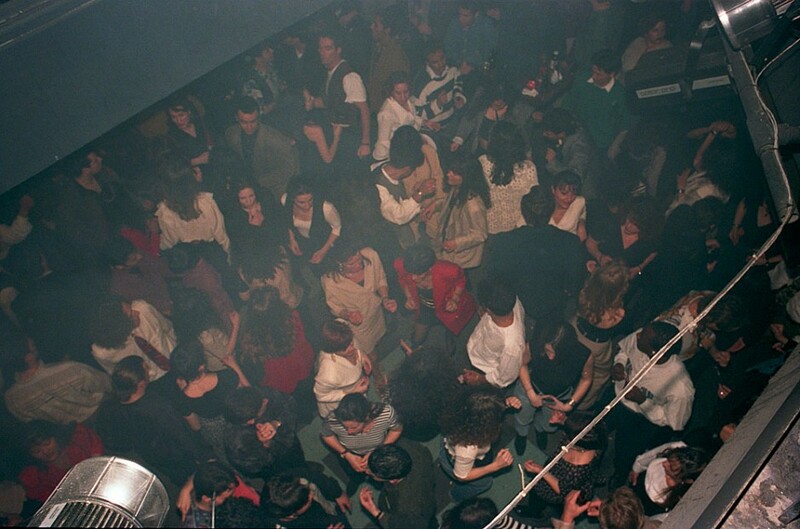 The Boots dancefloor during a 1990s Pride weekend event. Photo courtesy of Casey McNeill. Article originally published September 17, 2013 by The Grid online (thegridto.com). 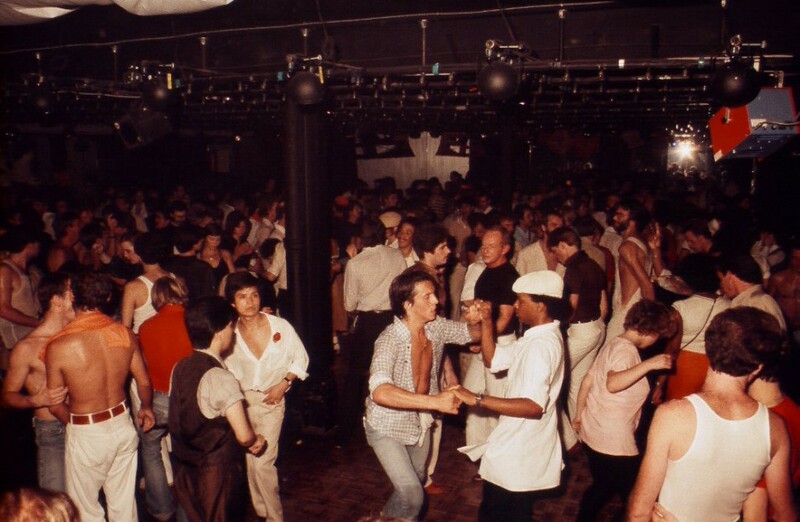 One of the largest and longest-lasting gay dance clubs in Toronto, this Sherbourne Street super-club went through a number of evolutions as it spurred the local mainstreaming of gay culture during the ’80s and ’90s. Club: Boots/Boots Warehouse, 592 Sherbourne St.
History: The story of Boots, one of Toronto’s best-known and longest-lasting gay dance clubs, begins in 1980 at the Waldorf Astoria apartment building. 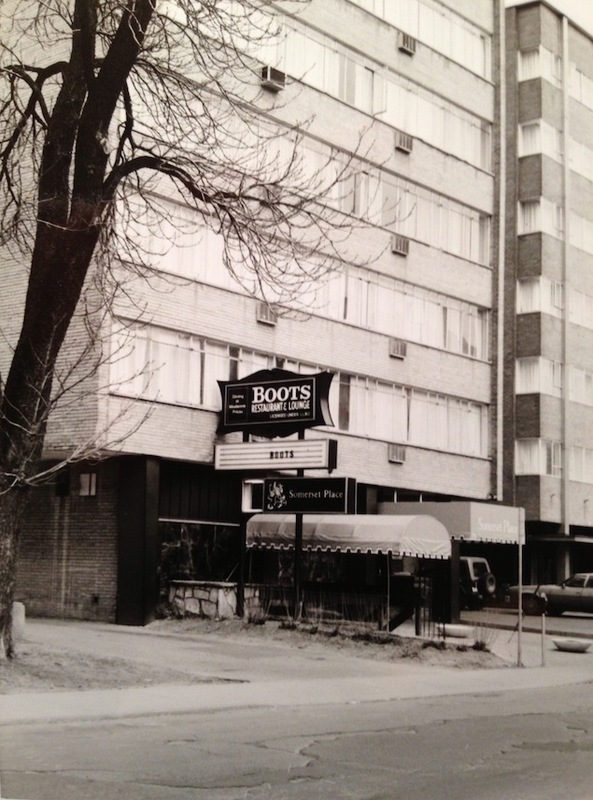 The basement of what was once a hotel at 80 Charles St. E. was rented to a group of men; their first incarnation of Boots proved popular enough that there were noise complaints. The lease was not renewed. courtesy of the Canadian Lesbian & Gay Archives. By late summer of 1981, Boots re-opened in another lower-level location, this time at 592 Sherbourne St., site of the historic Selby Hotel. Once a grand mansion, the building was constructed in the late-1800s, and was home for more than 20 years to members of the wealthy Gooderham family. In 1910, a large addition built on the rear of the mansion opened as Branksome Hall, a private school for girls. Allan Bell a.k.a. Phyllis (left) with Sister Rock-On at David’s. Photo courtesy of Wendy Peacock. Article originally published March 26, 2013 by The Grid online (thegridto.com). In its brief lifespan, this ‘70s hotspot served as both a gay disco and punk-rock haven—before it all ended in a mysterious fire and murder. History: The allure that the Yonge and St. Joseph area once held for creatures of the night has been detailed in a number of previous Then & Now pieces, including those about early 1980s venues Voodoo and Club Z. Here, we visit a prior decade to travel a short distance south, down a once-existing strip of the St. Nicholas alleyway, to a barely-there street called Phipps. Moving and storage company Rawlinson Cartage constructed the building at 16 Phipps in the late 1890s. A small tunnel, thought to once hold a conveyor belt, connected it to the building directly north, at 11A St. Joseph. As with a number of neighbouring structures, it was also erected by Rawlinson. In the early 1970s, 11A St. Joseph was home to popular all-ages gay male dance club The Manatee. Nearby Yonge Street bars The Parkside Tavern and St. Charles Tavern were gay hotspots, as was intimate Isabella Street disco Mrs. Knights. Club David’s added new possibilities to the mix when Jay Cochrane and Sandy Leblanc opened it in the spring of 1975. The scene at Stages. Photo by Terry Robson, courtesy of Arnie Kliger. Article originally published December 4, 2012 by The Grid online (thegridto.com). With the help of two rare DJ mixes, we revisit the early-‘80s Yonge Street club that provided Toronto’s gay community with a safe haven and showcased cutting-edge dance-music sounds, before the spectre of AIDS brought the party to a close. History: The northwest corner of Yonge and Breadalbane was once occupied by the Hotel Breadalbane. In 1945, the Bolter family purchased the hotel and would transform the downstairs of 530 Yonge into The Parkside Tavern. The Bolters also owned The St. Charles Tavern, at 488 Yonge. By the mid-1960s, both taverns were known to be gay bars. At that point in history, gay nightlife in Toronto was still very much underground. It was common for the heterosexual owners of gay bars to be contemptuous of their clientele. This seems to have been the situation at The Parkside, a dingy beer hall largely frequented by a daytime crowd. The Parkside’s owners allowed police to regularly spy on patrons in the washrooms, waiting to nab men engaged in any sort of sexual acts. Arrests were made, and the practice continued throughout the 1970s, even as gay activists organized leafleting campaigns and called for boycotts of the bar. These conflicts were characteristic of the time. During the mid-to-late-1970s, Yonge Street was the main artery of Toronto gay social life (it would shift to Church in the mid-1980s). Those looking to dance could hit a number of spots near Yonge and Wellesley, like The Manatee, The Quest, Katrina’s, Club David’s, The Maygay (later Charly’s), and Cornelius, which sat above biker bar The Gasworks. By 1977, there were even two gay-owned bars in the area: The Barn, opened by Janko Naglic at 418 Church, and small cruise bar Dudes, opened by Roger Wilkes, a founder of the York University Homophile Association, and his partner David Payne in an alley just behind The Parkside. Inside CiRCA. Photo by Lucas Oleniuk / Toronto Star. Article originally published October 22, 2012 by The Grid online (thegridto.com). In this edition of her Toronto-nightlife history series, Denise Benson revisits the biggest, most ambitious, and most fatally expensive nightclub the city has ever seen. Club: CiRCA, 126 John St.
History: The four-storey heritage property at 126 John St. has housed many businesses since its main structure was built in 1886. Originally, it was the site of John Burns Carriage Manufacturers, followed by other industrial-machinery companies. Enter New York City club magnate Peter Gatien. The Cornwall, Ontario native had moved to Toronto in 2003, following deportation from the United States. Gatien is, of course, one of the world’s most famous nightclub impresarios, having owned deeply imaginative and influential N.Y.C. hot spots including Limelight, Tunnel, Club USA, and Palladium during his 30-year career. The one-time millionaire’s very public fall has been well documented in both print and film. To recap: New York police and the Drug Enforcement Agency (DEA) pursued Gatien relentlessly in a 1996 federal investigation that attempted to directly link him with the sale of street drugs, particularly ecstasy, in his clubs. Gatien was acquitted, and then later arrested on tax-evasion charges, to which he pled guilty. Once in Toronto, Gatien—later joined by wife Alessandra and their son Xander—was interested in exploring a boutique-hotel concept. He tells me during a recent phone interview that a RioCan representative approached him in a park, during a dog walk, in the fall of 2005, and requested that Gatien pay a visit to 126 John. Limelight dancefloor. Photo by Steven Lungley. All rights reserved. Article originally published July 27, 2012 by The Grid online (thegridto.com). As the Entertainment District grew more sophisticated in the 1990s, this proudly shabby and unpretentious nightclub drew crowds by the thousands each week to a sleepy stretch of Adelaide. Club: Limelight, 250 Adelaide St. W.
History: Before the Entertainment District became synonymous with dance clubs, the well-worn brick building at 250 Adelaide St. W. was home to businesses including a print shop and Old Favorites Books. Located near the corner of Duncan, the building was spotted by businessman Zisi Konstantinou, who saw its potential as a club space. Richmond Street east of Spadina was already attracting large weekend crowds in the early 1990s, thanks to venues like Charles Khabouth’s pioneering Stilife and the Ballinger brothers’ hotspot Go-Go, which later became Whiskey Saigon. Adelaide east of Spadina was not yet a dancer’s destination. Konstantinou’s next smart move was to hire Boris Khaimovich as general manager of his club-to-be. Khaimovich—who’d worked the door and managed at Toronto clubs including The Copa, Boom Boom Room, and Go-Go, brought his vision to the project—and was Limelight’s guiding light for eight of its 10 years. Resident JOY diva and host Rommel (right). Photo courtesy of John Wulff. Article originally published June 7, 2012 by The Grid online (TheGridTO.com). In this edition of her nightclub-history series, Denise Benson revisits the most sexcess-ful, celeb-studded gay house club of the ‘90s. History: The rapidly changing streets surrounding Toronto’s Yonge and St. Joseph intersection were once a mecca for adventurous late-night dancers. 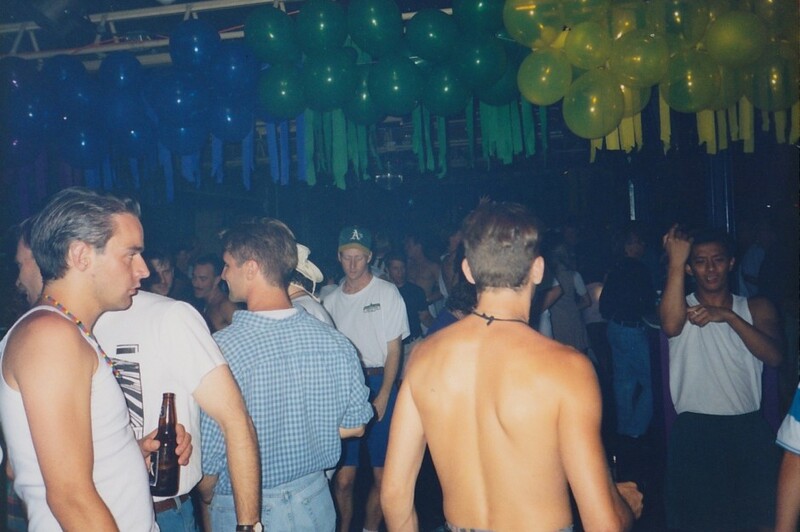 Some of the hub’s gay and after-hours history was explored in earlier Then & Now pieces about influential 1980s venues Voodoo and Club Z; now, we return during the ’90s, before the area was transformed by the massive condo development we see today. The tiny Phipps Street is tucked in just north of Wellesley and south of St. Joseph, running east-west from St. Nicholas to Bay. In the mid-’70s, while big gay dance club The Manatee drew crowds to 11A St. Joseph, Club David’s brought gay revelers south down the alley, to 16 Phipps, where a gold rendition of Michelangelo’s David presided over the dancefloor. 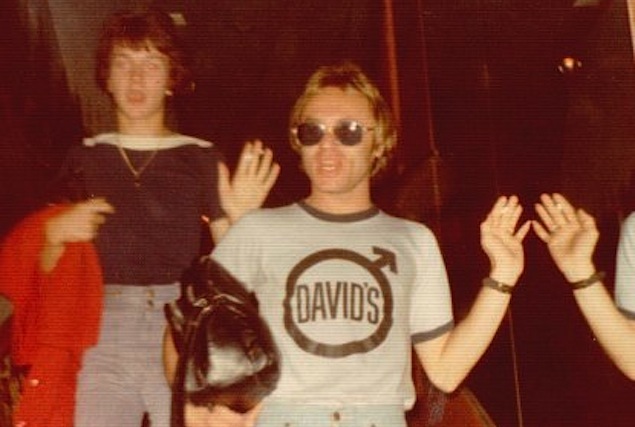 In the ’80s, David was out and mirrors were in as the building became new gay club Le Mystique. Although it later housed a variety of warehouse parties, early raves and other one-off events, the building still featured some of Mystique’s décor when John Wulff and silent partners went to view 16 Phipps early in March of 1995. The former storehouse, complete with its old loading dock and a small tunnel that connected it to 11A St. Joseph (it’s thought a conveyor belt once ran between the two), was in rough shape. 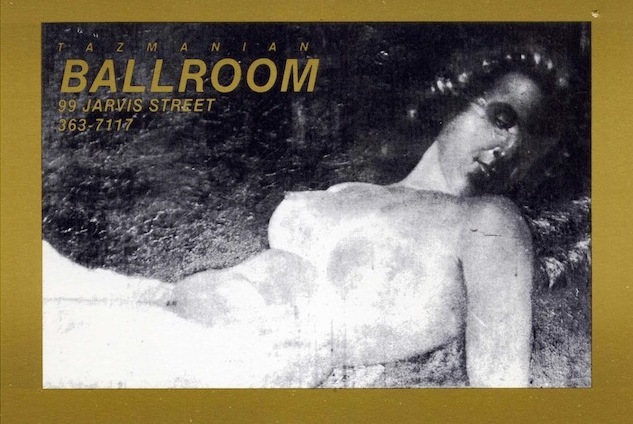 Tazmanian Ballroom advertisement, courtesy of Karen Young. Article originally published March 30, 2012 by The Grid online (TheGridTO.com). A look back at the ‘80s east-end haunt that imported U.K. rave culture to Toronto, let dancers openly shag on the third floor, and gave a young Gerard Butler his first gig as a doorman. History: Just as true characters have frequented Toronto’s most memorable nightclubs, they’ve owned them as well. Few have been as influential, audacious, or fanciful as nightlife impresario and restaurateur Johnny Katsuras. Since the late 1970s, the man better known as Johnny K has owned and operated a wide variety of thematic hot spots—often with wife, business partner, and chef Laura Prentice—in areas just off the beaten path, with a lean towards the city’s east end. In the second half of 1987, Katsuras followed on the success of his establishments—including his long-running, self-titled resto and surprisingly successful Beaches dance bar Krush—by turning attention to Jarvis and Richmond. Here, in an area filled with historic, often underused commercial buildings, Johnny K purchased a three-floor heritage property built in 1898, once known as MacFarlane’s Hotel. It had previously operated as The Jarvis House and then gay bar Club 101 by the Chrysalis Group, also owners of Yorkville mega-club The Copa. 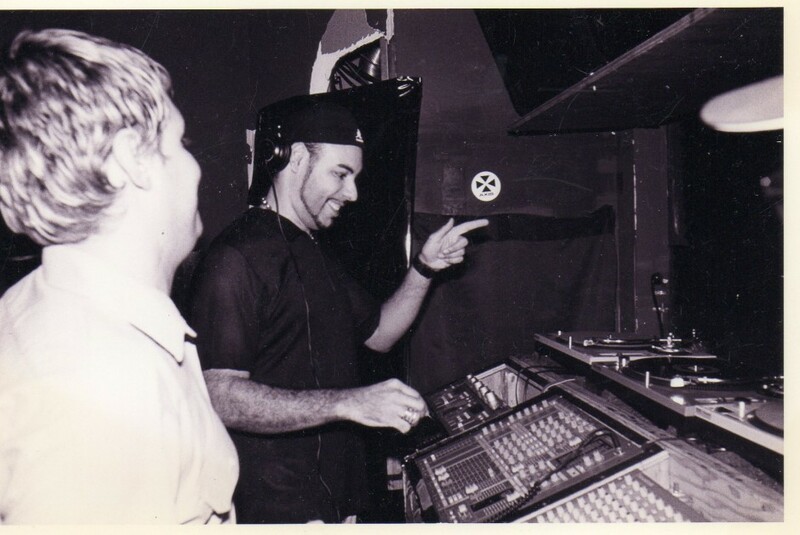 Photo of Roger Sanchez at Industry in July 1996 courtesy of Gavin Bryan. Article originally published November 30, 2011 by The Grid online (TheGridTO.com). 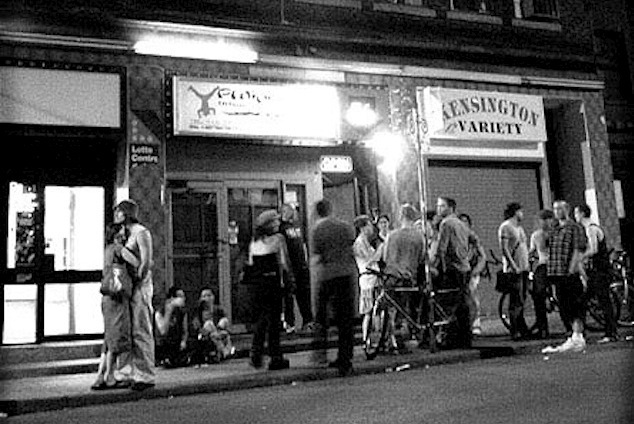 In this instalment of Then & Now, Denise Benson looks back at the legendary King West super-club that put Toronto on the international dance-music map, Industry. 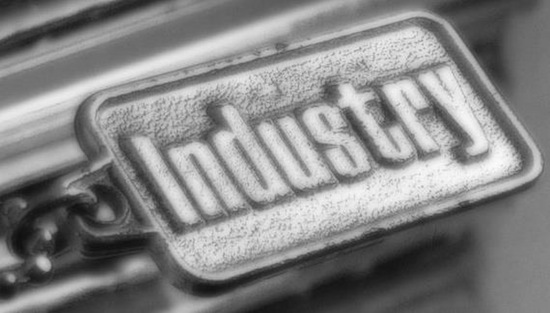 Industry tag. Photo by Randy Chow. History: Industry was a labour of love that grew out of youthful enthusiasm, overlapping friendships and prior club experiences. DJ Mario Jukica (Mario J) was 19 and his promoter friend Gavin “Gerbz” Bryan 24 when they moved from Oakville to downtown Toronto to develop a vision for a nightclub with DJ Matthew Casselman (Matt C) and business-minded clubber Daniel Bellavance. Bryan and Casselman had worked together at RPM (now The Guvernment) and were two of the core forces behind afterhours club BUZZ (now Comfort Zone), where Mario J was also a resident DJ. After eight short, but impactful months, BUZZ was forced to relocate and out of it grew something much larger. The four men came together to create a thousand-person-capacity venue at King and Strachan, then a rather undeveloped area. 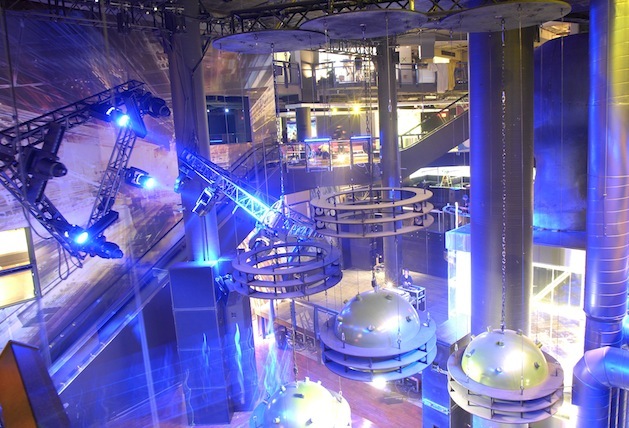 Industry’s doors opened on July 5, 1996. Photo inside OZ, courtesy of Luke Dalinda. Article originally published November 2, 2011 by The Grid online (TheGridTO.com). In this instalment of her nightclub-history series Then & Now, Denise Benson looks back at a mid-’90s raver mainstay that was so popular, it inspired a TV show. History: Previously known as Factory Nightclub, an early home to techno in Toronto, 15 Mercer Street was reborn as OZ, The Nightclub in March of 1993. Factory founder Skot Fraser partnered with Americans Jim Pici and Mike Hamilton to open the new fantasyland, with input from key event producers including DJ Iain, promoter James Kekanovich and Steve Ireson, a former manager at the Ballinger brothers’ influential club Go-Go who would soon become a core manager at OZ. OZ attracted large enough crowds that it soon grew to include a lounge on its second floor and, after that, it expanded into 19 Mercer Street, where the “Emerald City” VIP area was built. By then, OZ contained three separate dancefloors spread across 20,000 square feet, giving it a capacity of roughly 1,200 people.